Another NAMM Show has come and gone. 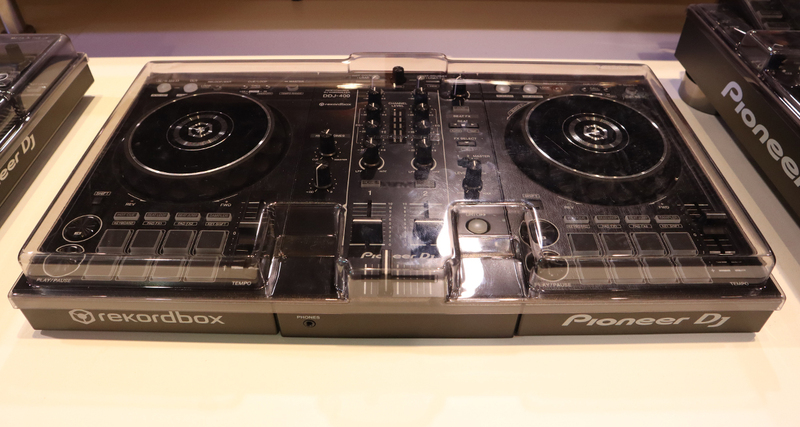 We scour the convention floor for some cool DJ bits and bobs in this roundup. 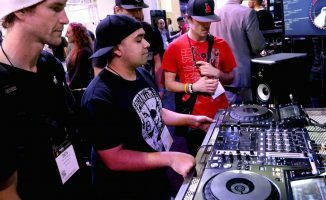 We’ve already covered all the huge DJ/producer gear releases at NAMM 2019 individually, and as always there’s just too much gear to do talkthroughs on one by one. So, as is customary with our show coverage, we present you the “best of the rest” that this year’s NAMM has to offer. 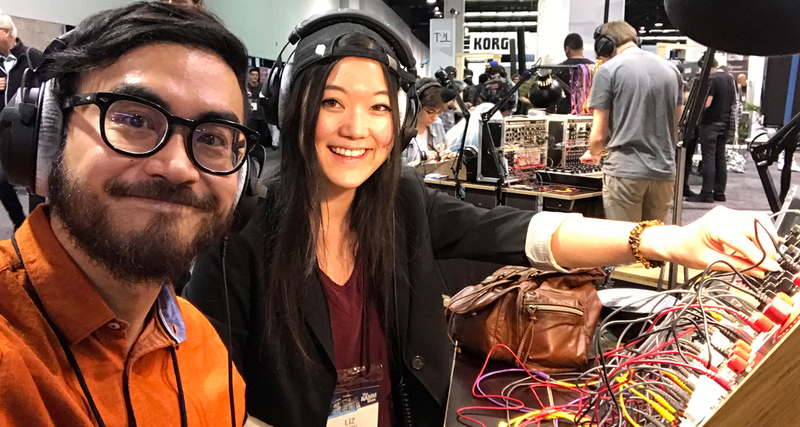 The first things that I spotted when I sneaked into the NAMM hall (it was still closed to everyone at the time) were the new Korg Volca Modular and Korg Volca Drum. They were set up and ready to be tweaked and mangled by DJ/producers, and the Korg Volca Modular looked especially tasty (and a bit daunting) with all the mini patch cables hanging out. I couldn’t resist so I had a play with them for a few minutes – watch out for our review of both of these very soon. The Jetpack stand had its current line of slim bags on display, but owners Ton and Will gave us a sneak peek at some innovative new bag models coming out this year. They basically consist of a Jetpack backpack and a Jetpack trolley. The backpack holds your essentials (eg laptop, phone, passport, documents) while the trolley holds your DJ controller. The trolley has a special zippered compartment where the back slips in nicely. Need a day bag for when you’re travelling and you’re out and about? Just use the backpack. Ready to travel to your next gig destination? Slip it into the trolley and you’re ready to go. 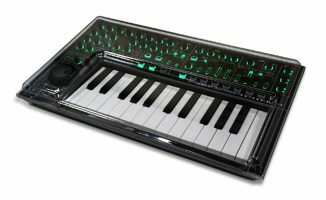 The Native Instruments private suite had a lot of things going on for DJ/producers, including this brand new three-octave keyboard. 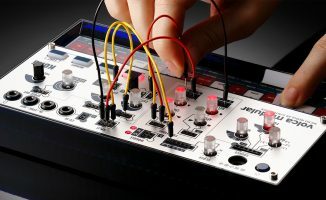 It has mini-keys for more portability, plus the usual eight rotary encoders for controlling NI’s Komplete Kontrol plugin. 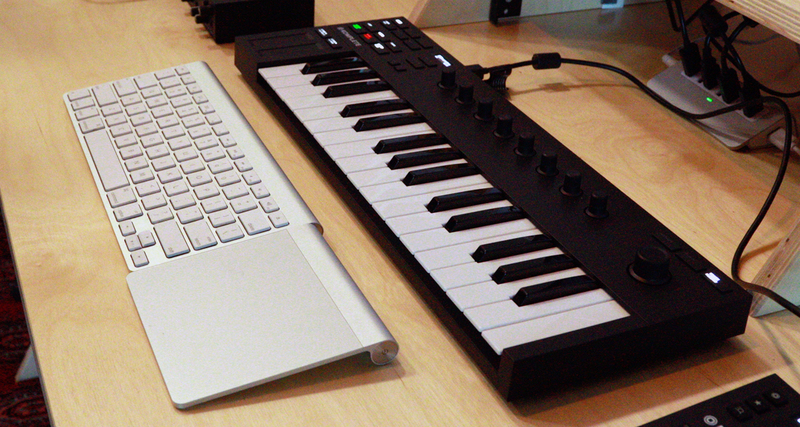 It also has transport controls, touchstrips and other buttons to control your DAW. Continuing Native Instruments’ focus on beginner gear, the Audio 1 and Audio 2 are sound cards for bedroom producers and those who need a basic interface for performing onstage. 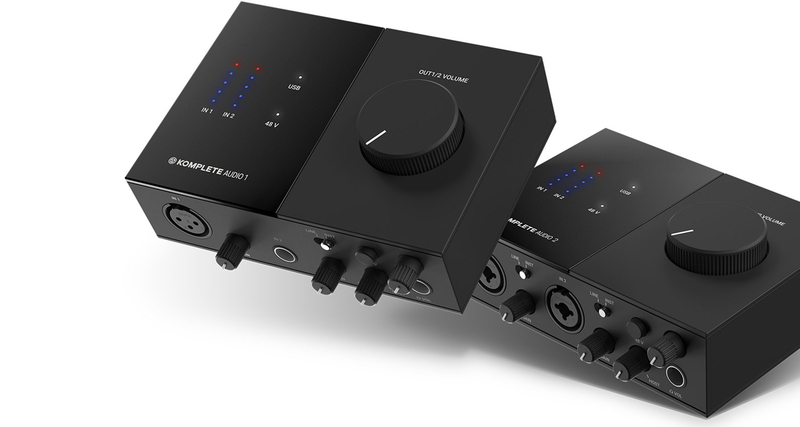 Audio 1 has a single XLR mic input and a 1/4 input with a Line/Instrument switch) (for plugging in a synth or guitar, respectively), while the Audio 2 has two combo TRS / XLR inputs for connecting up to two mics, two guitars or two line level devices. Decksaver makes the best “on-device” cases because they’re inexpensive and indestructible. They’re great for keeping your gear free from dust and spills when not in use, and for transporting your gear and you’d like to keep the knobs, faders and other controls on the face of your device protected. 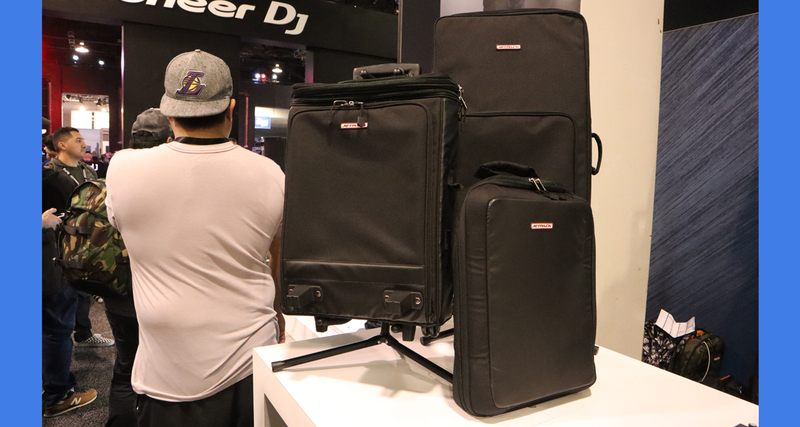 The company is lightning fast when it comes to making cases for new kit, and this year’s Decksaver booth is no exception: already we spotted Decksavers for the Traktor Kontrol S4 Mk3, Traktor Kontrol S2 Mk3, Arturia Keystep and Pioneer DJ DDJ-400 pictured above. 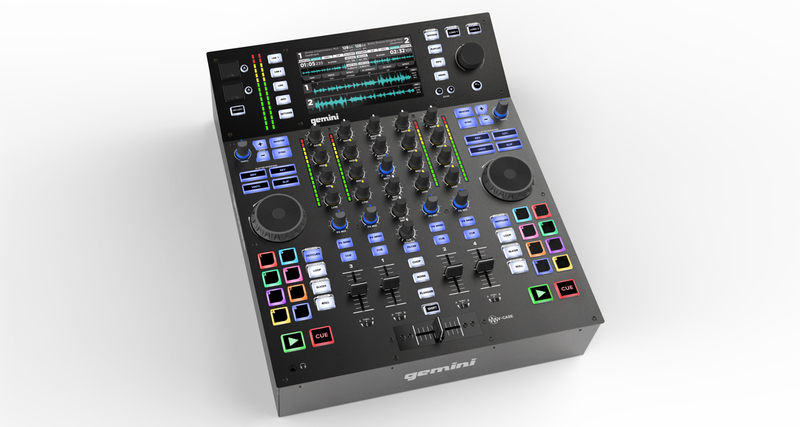 Apart from the standalone SDJ-4000 all-in-one system, Gemini also had a prototype of the (newly renamed) SDJ-2000: it looks more like a four-channel mixer with an onboard display, but it has two jogwheels onboard as well as performance pads, FX and USB stick jacks. Something for mobile jocks and those who want a more compact all-in-one device. Oh, and if you’re wondering what happened to the original SDJ-2000 introduced a few years back, it appears to have been scrapped in favour of the SDJ-4000. 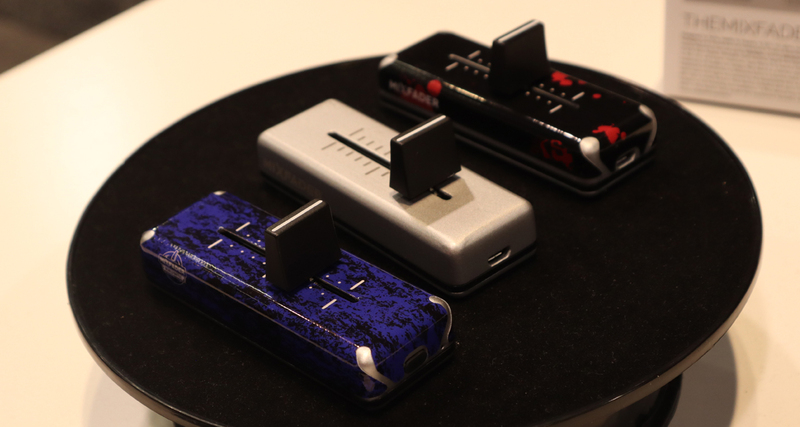 The Mixware booth had the final production units of the Phase wireless timecode system on display (the team says it’ll start shipping this March), and apart from that we also spotted these Mixfader Bluetooth crossfaders with new limited edition colourways. Mixfaders are awesome for scratching with a tablet using the edjing app, or with a portable turntable using the Mixfader ProLink. 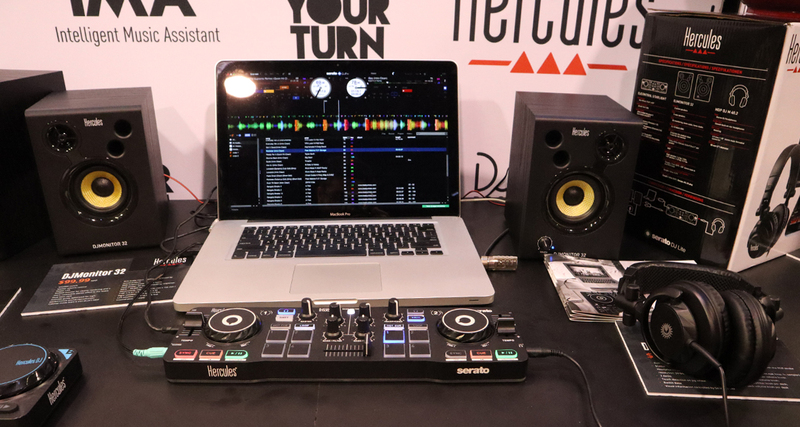 One of the busier spots at this year’s NAMM Show was the Hercules stand where the company displayed its latest Inpulse line of DJ controllers (we think the Inpulse 300 is awesome for beginners, by the way). It also had the DJ Starter Kit on show, which as the name suggests is a box set that contains everything you need to get started: speakers, headphones and the tiny Hercules DJControl Starlight. Just plug in a laptop, get Serato DJ Lite installed and you’re ready to rock. 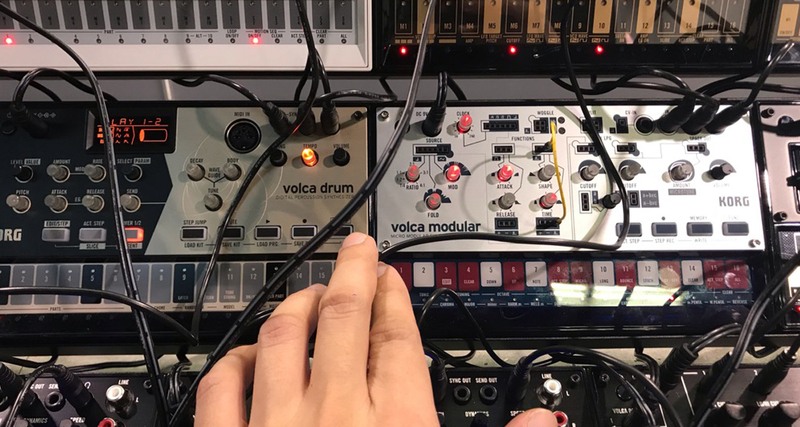 We noticed a surge in modular synths at this year’s NAMM Show. It’s like they were everywhere. The most pleasantly surprising thing about it was that young producers and DJs were the ones who were lining up to have a go at them, no matter how complicated and esoteric they were. 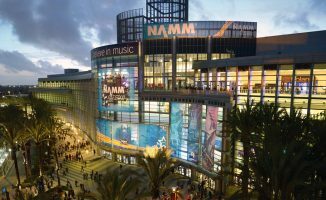 This year’s NAMM Show was one of the biggest, and even though some popular DJ gear manufacturers didn’t have much new to exhibit (eg Pioneer DJ, Numark) the show floor was still packed and there still wasn’t enough time to really take everything in. I feel that way at every NAMM Show, even if I tried my hardest this year to roam the entire Anaheim Convention Center. I found myself losing track of time after geeking out at all the awesome music production gear from Universal Audio as well as Avid (makers of Pro Tools), Slate Digital (one of my favourite new production companies) and recording giants API, SSL and Neve who were all housed in a separate building. Before I knew it, I had to rush to the airport – though I wouldn’t mind missing my flight and staying an extra day just to take it all in! • Thanks to you for following our NAMM coverage, and thanks to everyone we met and hung out with at the show. See you all next year! 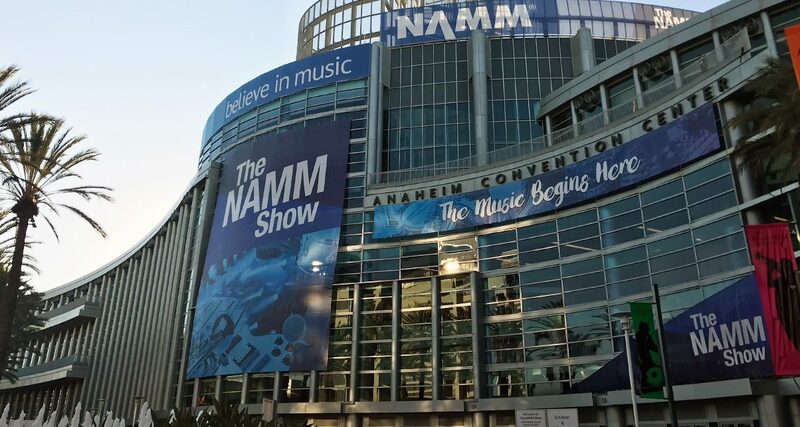 What did you think of this year’s NAMM Show? What did you like about it the most? What surprised you? Let us know below. Thanks for your awesome wing man work Joey!